The Commonwealth Secretariat was sending the wrong signal to anti-democratic, arbitrary and authoritarian regimes and forces by creating the impression that standards and principles count for nothing, Canada’s Special Envoy to the Commonwealth Hugh Segal said, after the second independent jurists’ report commissioned by Commonwealth Secretary General Kamalesh Sharma was exposed on Colombo Telegraph a few days ago. “That this legal opinion, and the other on commissioned from the former chief justice of South Africa, were kept from the Commonwealth Ministerial Action Group meetings last spring and this fall, is a serious weakening of Commonwealth purpose and standard,” Segal told Colombo Telegraph. “This is the Commonwealth Secretariat looking away at precisely the time it should be engaging fully in defense of Commonwealth values and principles,” he charged. Segal said that the recent and timely release by the Colombo Telegraph of the second legal opinion on impeachment by the eminent British Jurist and scholar, of Sir Jeffrey Jowell,QC, underlines the difficulty in which the Commonwealth Secretariat finds itself. 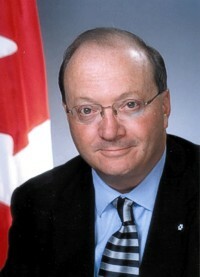 “The clear violation Sir Jeffrey cites o by the impeachment, of Latimer House Principles -an integral part of the Charter of the Commonwealth-signed last March by Her Majesty in the presence of High Commissioners from the Commonwealth in London, including those of Canada and Sri Lanka,is fundamental to the core values and principles that define Commonwealth membership,” the Canadian Senator said.